Coffeehouse in Essex Junction, VT. Nest Coffee, serving in-house roasted coffees and baked goods made from scratch. Need some coffee? 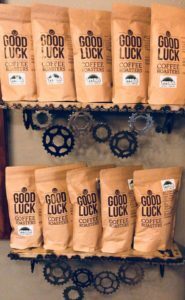 Stop by and pick up some of Good Luck Coffee Roasters VMBA Blend, 15% goes to support advocacy for your local trails.